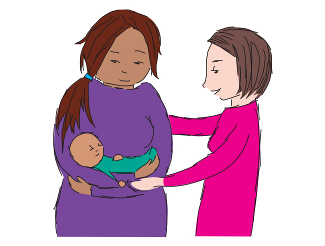 A Mothercraft nurse works alongside parents to assist them in gaining confidence and skills in parenting, and to find the best outcome for their family and their situation. In order that the best solutions can be found for you and your child there is a 4 hour minimum booking. Longer hours can be negotiated as required. A written report is provided after the consultation as well as a follow up phone call at no extra charge. For more information, see our contact page.